I waited to stop the rain, but no luck of weather. It was the only day to install the pieces at Stone Quarry Hill Art Part in Cazenovia, NY. Inside the lantern, there are one high bright LED and one water-proof speaker. I used three conductive cable in order to send the signals for both sound and light. 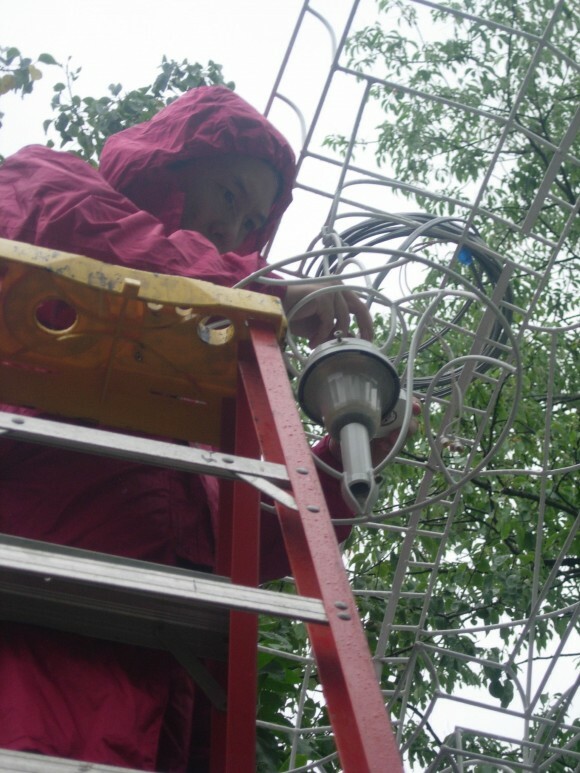 The ladder was a little bit slippery, but I could install the lantern and the motion sensor without problem. 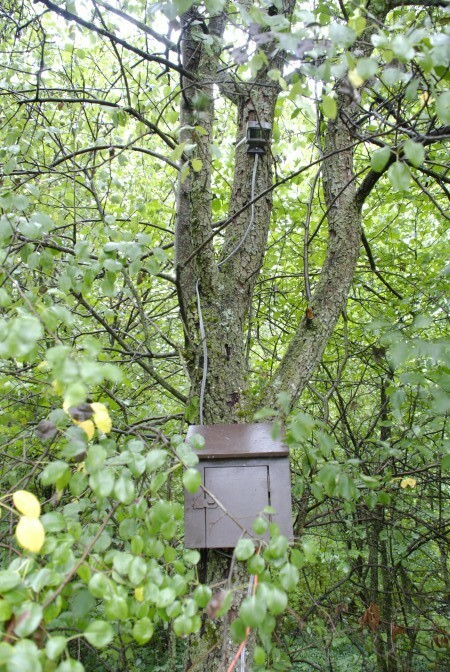 I installed the motion sensor and the electric parts box on the tree with Zip-Ties. I thought I should hide the box, but there is a big branch behind the tree, so I couldn’t find a space. Finally I installed the box in the place where I didn’t need to cut live brunches. Although it is in front of the tree and a bit visible, I think visitors can also enjoy watching them with curiosity. The final touch will be done by the Art Park. This entry was posted in art, general and tagged arduino, idea, install, kickstarter, pledge, threshold. Bookmark the permalink.